What we see in life has to do with they way we view life. A view is a shortcut to a perspective and a way we look at our world represents how we relate to our world. Person A claims the glass is half full. Person B claims the glass is half empty. Half full. Halcyon days ahead, things look bright. Half empty. Storm clouds on horizon, things not quite right. 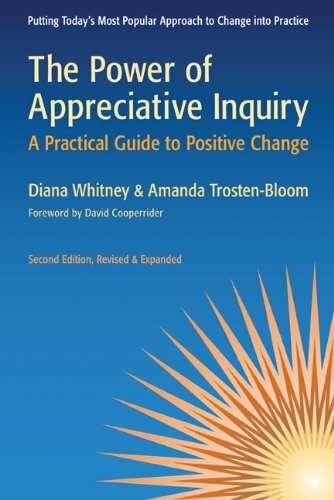 Appreciative Inquiry takes us beyond the shortcut of these two views. 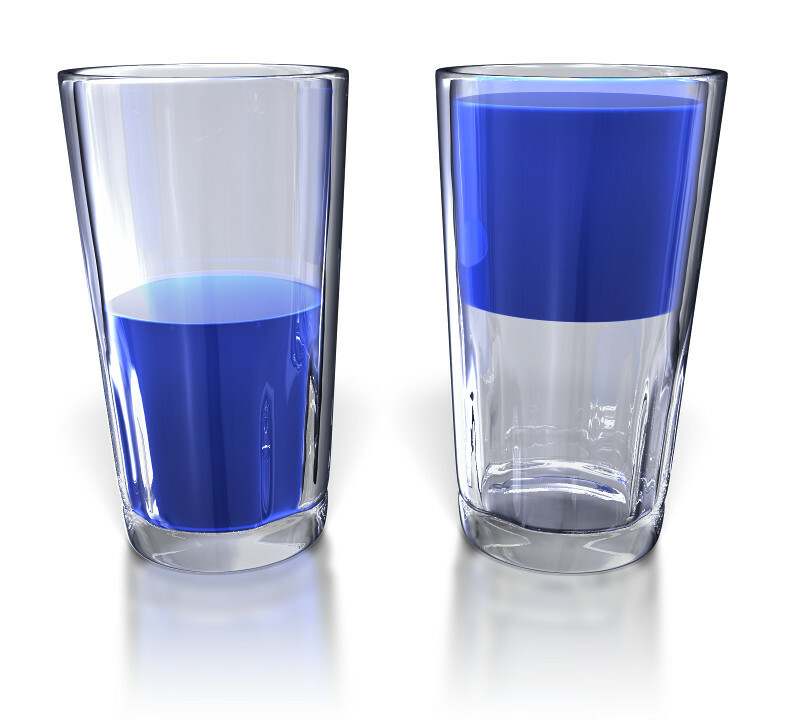 With an appreciative mindset the glass is neither half full, nor half empty. The glass is full: half full of air and half full of liquid. Words create worlds. That saying presents an example of the constructionist principle and highlights the language we choose as a direct lead to forward interpretation. The words chosen present a fateful direction. Language directly impacts our interpretation of experience. Next time someone offers the half empty/half full shortcut, offer an alternative view that the glass is full and see where the conversation leads.